Compare & Save: 200 mg more Vitamin C and Non-GMO formula! The Heart Soother Tea blend was formulated by herbalist Susan Trial, and is a Pitta-pacifying blend, full of cooling nervines. This bulk herb blend is caffeine free and appropriate for all body types. It is also helpful for general heart health and as a calming sleep aid. Contains: Hawthorn leaf, Hawthorn flower, Passionflower, Lemon Balm, Skullcap, Chamomile, Rose, and Lavender. Directions: Add one tsp of herb mixture to 8oz of boiled water and steep for 15-20 minutes. Strain and enjoy! Smiling Serenitea is a bulk herbal blend created by the founder of Smile Herb Shop. It has been our most popular relaxing tea for over 20 years. It is useful for its calming effect on the nervous system, as well as its sedating effect in cases of insomnia. Directions: Pour 1 cup of boiling water over one teaspoon of herb mixture, cover, and steep 10-15 minutes. Ashwagandha is one of the most highly regarded and commonly used adaptogens in the Ayurvedic pharmacopoeia. Commonly taken as a tea, passionflower has calming and soothing properties. * Maca has a rich history of traditional use as a panacea and is referred to as 'Peruvian ginseng.' Specifically, it is prized for its adaptogenic and nutritive qualities. Mugwort has been valued as a sacred herb in ancient and modern religions, as well as being used in Traditional Chinese Medicine to induce smooth qi and widely to increase lucidity of dreams. * One of the most calming and deeply relaxing herbs we know of, valerian is often used in bedtime formulas and sleep pillows. * Lemon balm is a sweet, lemony scented herb in the mint family. Its subtle lemon flavor with mint and herb undertones makes it a popular relaxing tea. Chamomile is a gentle, soothing herb commonly used for insomnia, inflammation, and digestive complaints. It is safe to use with children. Ashwagandha is one of the most highly regarded and commonly used adaptogens in the Ayurvedic pharmacopoeia. Nutmeg may be used to treat insomnia, indigestion, gas & bloating, diarrhea, and low appetite. spasms, and acts as a general anti-inflammatory and pain reliever. *These statements are not evaluated by the FDA. Minty, mildly bitter and sweet, with notes of citrus and spice. Consult your healthcare practitioner: if sleeplessness persists continuously for more than two weeks; if you are taking medication with sedative properties; if you have depression and/or related diseases; or if you are pregnant or breastfeeding. Consumption with alcohol is not recommended. Some people may experience drowsiness. Exercise caution if operating heavy machinery, driving a motor vehicle, or involved in activities requiring mental alertness within 2 hours of consumption. Do not use if you have known allergies to plants of the daisy (Asteraceae) family like chamomile or Echinacea. Not recommended for use with children under 12 years of age. Most people are familiar with hops as an ingredient in beer, but the herb has a long history of use as an ingredient in traditional herbal bitters, tisanes, tonics and teas. Refreshing and restorative sleep is essential to maintaining optimal health and wellness, however stress sometimes prevents a good night's sleep. Sleep & Relax Herbal Tea features a blend of 100% organic herbs- including Lemon Balm, Passionflower and Chamomile, to enhance its relaxing action. This gentle, yet fast-acting tea encourages healthy sleep patterns and leaves you feeling refreshed upon waking. * Warnings & Disclaimers: * These statements have not been evaluated by the FDA. If you have a medical condition or take pharmaceutical drugs please consult with your doctor before using this product. Licorice should not be taken if you have kidney or liver disorders, hypertension, edema, excessive potassium depletion or during pregnancy. Consult with your practitioner if breast feeding. Caution: As with any dietary or herbal supplement, you should advise your health care practitioner of the use of this product. If you are nursing, pregnant, or considering pregnancy, you should consult your health care practitioner prior to using this product. This product is not intended to diagnose, treat, cure or prevent any disease; the law applicable to dietary supplements, the Dietary Supplement Health and Education Act of 1994, commonly referred to as DSHEA, does not permit us to do so and it is not our intention to do so. The Contraindications and Potential Drug Interactions information provided on this website is not intended to be all-inclusive. Keep your healthcare provider informed about any herbal and other dietary supplement products that you are taking.  Caution: As with any dietary or herbal supplement, you should advise your health care practitioner of the use of this product. If you are nursing, pregnant, or considering pregnancy, you should consult your health care practitioner prior to using this product. This product is not intended to diagnose, treat, cure or prevent any disease; the law applicable to dietary supplements, the Dietary Supplement Health and Education Act of 1994, commonly referred to as DSHEA, does not permit us to do so and it is not our intention to do so. The Contraindications and Potential Drug Interactions information provided on this website is not intended to be all-inclusive. Keep your healthcare provider informed about any herbal and other dietary supplement products that you are taking. All natural Lemon-Lime flavor, tastes great! irritating, but it also helps calm the nervous system. This soothing oil delivers the powerful hair strengthening qualities of the Ayurvedic herb bhringaraj in an organic sesame oil base. Balancing to all three doshas, bhringaraj's cooling nature particularly addresses pitta, which is often at the root of hair issues such as premature greying and hair loss. Traditionally used to encourage healthy hair growth and better sleep, it also cools the head and calms the mind, making it an excellent choice for massaging the scalp and feet. Bhringaraj can as well be helpful in clearing pitta from the nervous system and skin. tension at bedtime, helping you fall asleep and stay asleep all night. You will wake up renewed, refreshed, and ready to tackle your day. magnesium for your body's needs. 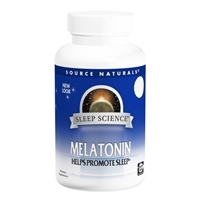 Melatonin is produced in humans by the pineal gland. A favorite of travelers, it helps support restful sleep. Ashwagandha (Withania somnifera) is a traditional Ayurvedic medicinal plant considered one of the best tonic remedies of India. It is a calming adaptogen and nervine used to reduce stress, stimulate libido and male reproductive functioning. It also acts as an antispasmodic and along with Black Cohosh, Kava and Wood Betony is specific for fibromyalgia pain. Due to its rich iron content, Ashwagandha is used to treat iron deficient anemia and the resultant fatigue associated with it. Warnings & Disclaimers: Not for use in pregnancy; May potentiate the effects of barbiturates. FDA Disclaimer Caution: As with any dietary or herbal supplement, you should advise your health care practitioner of the use of this product. If you are nursing, pregnant, or considering pregnancy, you should consult your health care practitioner prior to using this product. This product is not intended to diagnose, treat, cure or prevent any disease; the law applicable to dietary supplements, the Dietary Supplement Health and Education Act of 1994, commonly referred to as DSHEA, does not permit us to do so and it is not our intention to do so. The Contraindications and Potential Drug Interactions information provided on this website is not intended to be all-inclusive. Keep your healthcare provider informed about any herbal and other dietary supplement products that you are taking. One of the most popular herbs in Europe and is widely known as a sedative and carminative. Combined with nervines like Skullcap, Lemon Balm or fresh Oat, it is useful for insomnia, anxiety, nervousness, nervous stomach or bowel and headaches due to stress.